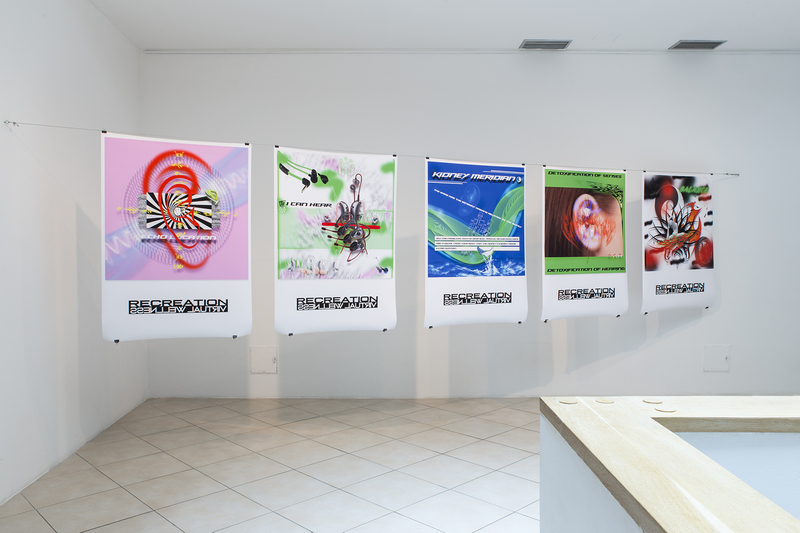 Regardless is an exhibition dedicated to the pioneers of electronic music and sound-art. 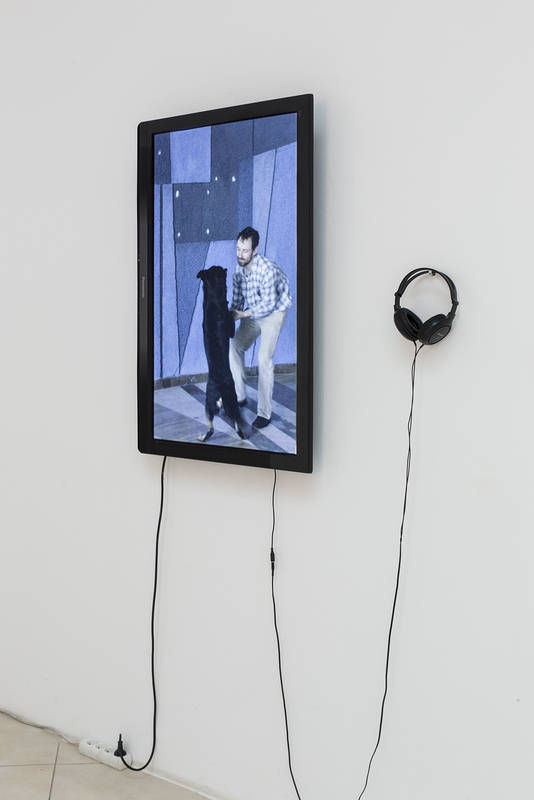 The exhibition comprises a series of concerts in the opening event and a guided tour with a listening session. 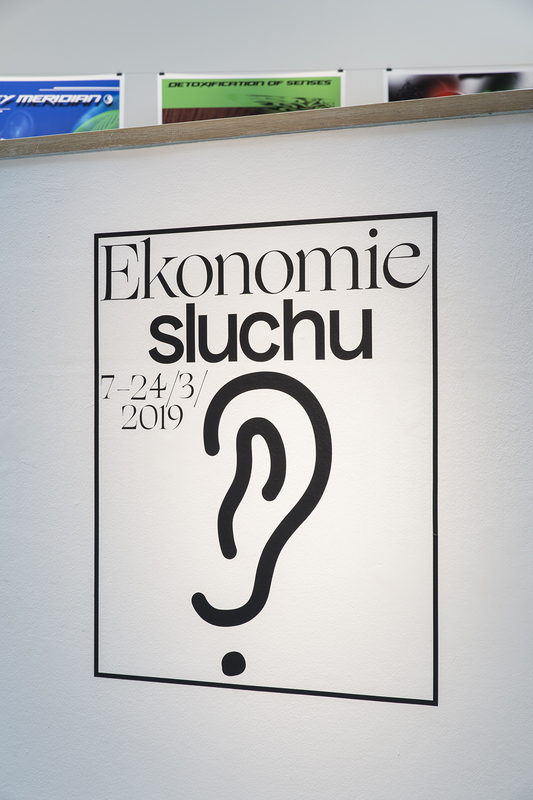 The exhibition entitled The Economy of Hearing focuses on the idiosyncrasy of that which we tend to view as the natural state of being – we understand the reception of sound input as pure information bereft of the incessant reminiscence of our everpresent embodiment. 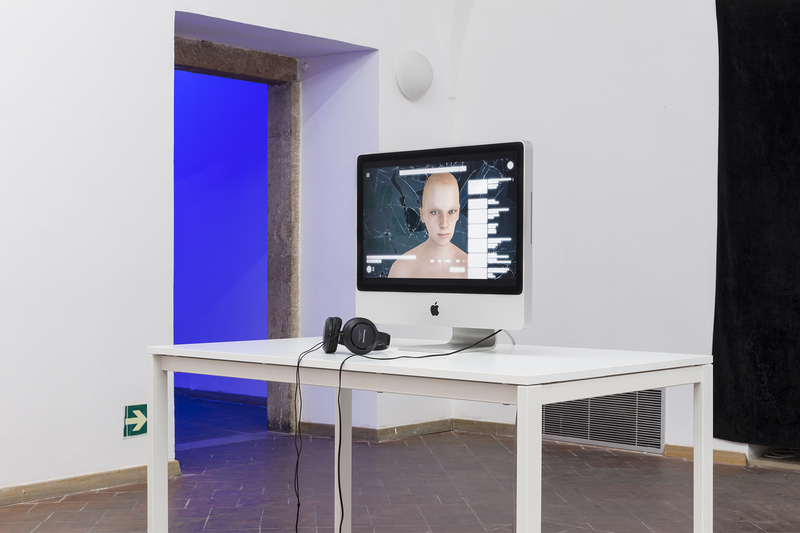 The exhibition attempts to frame hearing as a bodily and social phenomenon, one which is furthermore inextricably linked not only to our biological essence and individual self identification, but also to the mechanisms of self-care and the commoditization of the human body. Hearing is one of the primary senses which allow us to interact and communicate with the surrounding world and is something which most of us regard as a given necessity. Our society is deeply rooted in communicating by means of sound expression, which allows us to mutually interact. Listening to speech or music is however just one of the many tasks which the aural organs accommodate. Sometimes we forget just how much the perception of sound is inextricably connected with our own bodily presence. The physicality of our being in a three-dimensional world correlates with a ubiquitous soundwave soundscape, as much as it does with our perception of balance, determining the position of the body in relation to gravity. 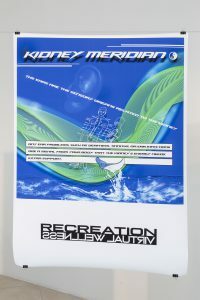 The aural organs also play a seminal role in this case as well. Throughout our lives, we move in a macro-world of acoustic ecosystems and within an economy of mutual information exchange carried by acoustic codes, but we also perceive our own physical presence within them in part due to the aforementioned organs. 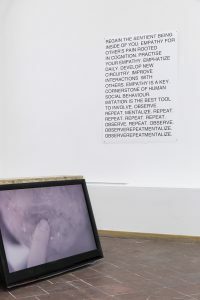 This exhibition project is not in any way an attempt to enframe a systematic or educational view on the given problematic. It is rather a dialogue of the curator with three artists whose work manifests its particular aspects. 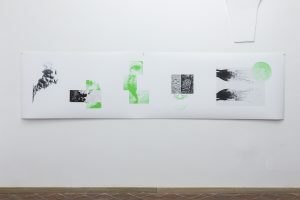 It has also definitely been influenced by the curator’s personal experience, and his own particular handicap which forces him to perceive the specific embodiment of hearing, and the often unequal economy of social interaction based around sound perception. of psychic hygiene. Her main expressive medium is based on graphic expression carried by a contemporary digital visuality. In his endless series of figurative drawings and aquarelles, Vít Svoboda rather takes the path of constantly examining the physicality of artistic expression and its relationship to personal bodily identity. 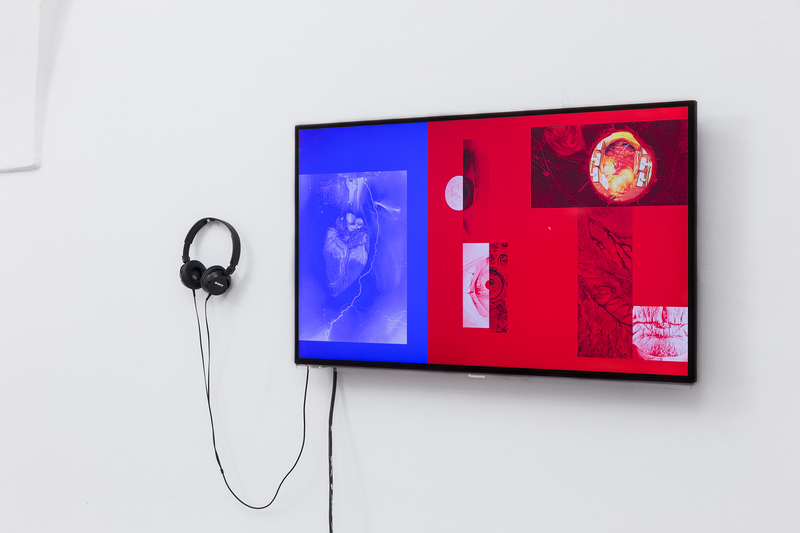 The ear and hearing functions as a recurring motif and constitutes a seminal moment of our bodily experience. The group exhibition project Compassion Fatigue is the outcome of shared conversations, revisions of cultural symptoms, social artifacts, political and economic strategies. It straddles the space between a dystopic discourse and a romantic return to physicality, a new ritualism and the esoteric. 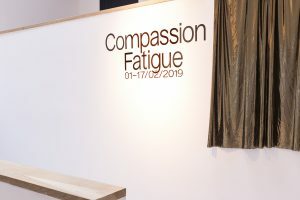 Its title references the loss of empathy, compassion fatigue, with which we describe the phenomenon of oversaturation with stressful stimuli which eventually leads to an inability to perceive suffering. This leads to passivity, to a state of rigid and melancholic limbo defined by the emotional and physical experience of inevitable decline. 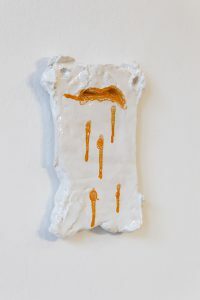 The works exhibited try to reflect this newly-born interzone which stretches between a loss of trust in the system and an increasingly pressing search for personal space between a nebulous present and a non-existent future. 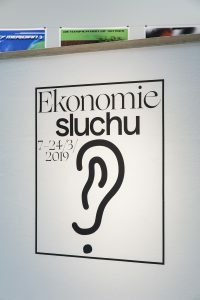 The discussion on the topic of the upcoming environmental catastrophe and the related themes of sustainable development, nature conservation and ecology have steadily been making their way into Czechia. 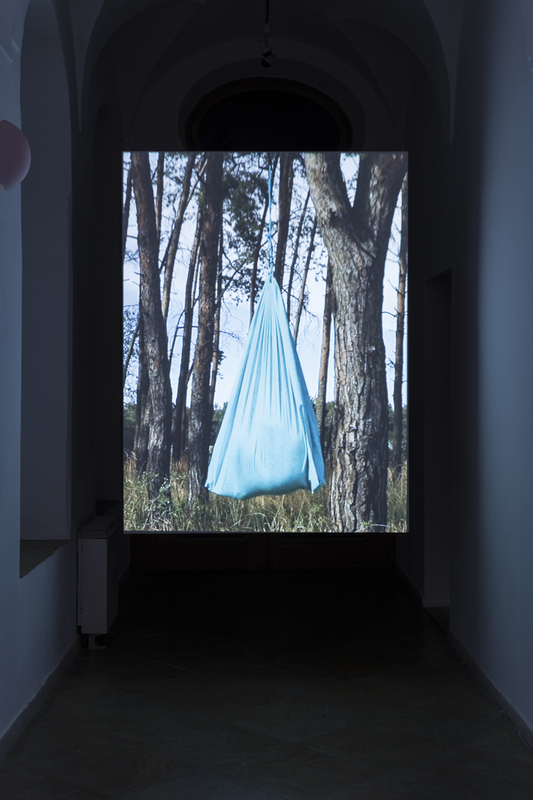 The joint work of Barbora Fastrová and Johana Pošová has however been developing and exploring the topic of the relationship between culture and nature, of the “natural” and the “artificial” for a long time. The method as well as content of their exhibition Cheap Art for AMU Gallery is recycling. 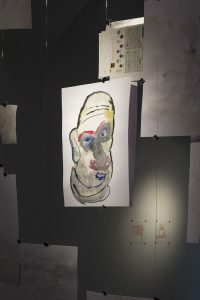 The artists experiment with how far they can influence the preparation of the exhibition and its final form, as well as the audience’s experience of it. They attempt a conscientious approach and strictly use only recycled materials, as well as eschewing the use of electricity. 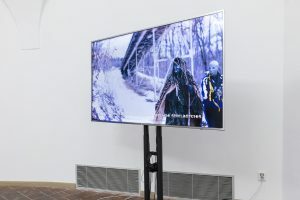 This attempt at decreasing the production and consumption (of material and energy) is partly “an exercise” in which the artists themselves decide on the rules and the limitations of their work. 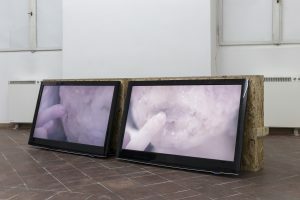 This is a generally comprehensible gesture which reacts to the society of hyperconsumption, entailing also the art world; this however often hypocritically obfuscates the mechanisms of consumption and waste by implementing a so-called critical discourse. 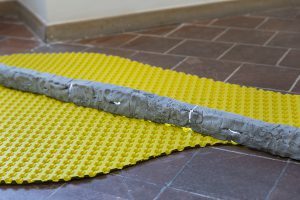 This exhibition project is also a form of immediate experience and an example of failure, tension and ambiguity in determining boundaries. 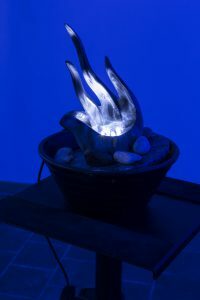 The artists keep in mind the ecological standpoints while also wanting to continue exhibiting and making art. 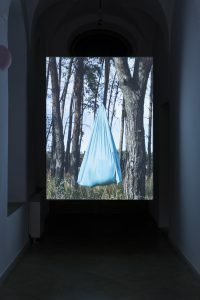 The central reason for producing the exhibition is not to present a perfectly ecological outcome, but rather to demonstrate in practice the difficulties and paradoxes resulting from working with such specific limitations. What does it mean to know how to look at art? It also means “to understand” that what is represented as the subtext of each representation is the artist’s individuality. Apart from their mutual friendship, the artists share a striving for non-traditional methods of narration. They also share an interest in the themes related to feminine perception of the world, and in the interpretation of emotion and vision. Finally, we can observe the paradox and absurdity of categorizing that which is feminine and that which is masculine: is meticulous handcraft and housework natural for women while men can inscribe their tempestuous creative climax on the canvas with paint, or is a man the keeper of rationality while woman represents intuition and untrammeled instinct? This is the creation of a fecund substrate for experiencing togetherness, responsibility, continuity. 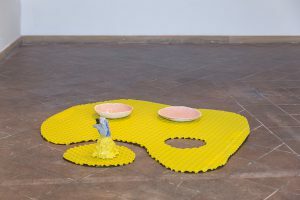 Tenderness and intimacy of the presented works function as a subversive strategy, consciously open to interpretation as a form of parody or caricature. They remind us of the frailty of all values, power structures, cultures and our own lives. Memory doesn’t exist without time and time fundamentally means disintegration. As observer we can either recoil from such a painting due to fear, impatience and disinterest, or make our gaze at home in it. These might be banal thoughts, but maybe we can perceive their obverse side in a certain evacuation of imagination from the contemporary world, or rather in the shift in proportion between (virtual) imagination and (real) experience. 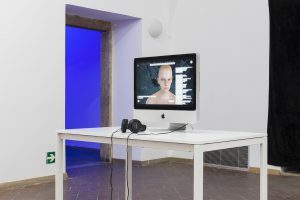 ### can also be understood as an analogy to the way the technical image and virtual reality increasingly bleed into the palpable world, and through the quantity of their impulses and increasing perfection (in the mimetic sense) rather transform the capabilities of the imagination into a form of advanced consumption. 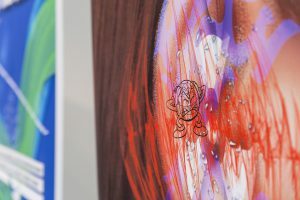 The ### exhibition does not set out to formulate a single critical position or to be in any way activist. ### wants to avoid the cliché of the urge to attack or, on the other hand, to defend the necessity and usefulness of art and artists. 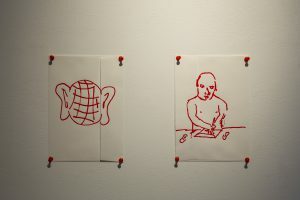 The subtext to these varied artistic approaches and varied audience reactions to an open concept can be framed by the idea that contemporary artistic production in fact explicitly shows the arbitrariness – which is, in other words, a lack of meaning, or “just” the contextual, historical motivations – which is not however in any way limited to the confines of the art world: it is equally felt, if only differently integrated, evaluated and sublimated, in the “work” experiences of an increasingly vast segment of modern society. 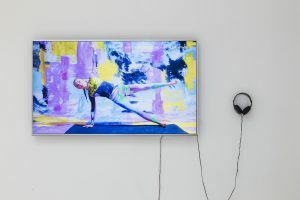 Contemplation within the gallery’s white cube does not create a new reality which wouldn’t be present in the world “outside,” but rather insistently focuses attention to the most banal of facts, generating a certain existential tension. It is about the detail. Changing a part changes the whole. Simply said, we wanted the manner of the installation to be balanced and aesthetically satisfying; so that it would give each work enough space to stand out. 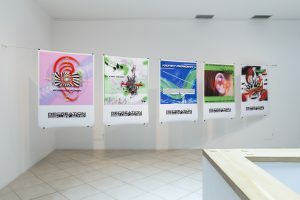 The final outcome – the exhibition – however shouldn’t be a “ dictionary of intermedia,” but rather should form an organic whole. To match Nature, or actually surpass it, is an illusory yardstick for the artist, “a hunt for the white whale”, and both artists are well aware of that. There is no doubt that the exhibition ### will provoke a contradictory response on the part of the general and professional public. 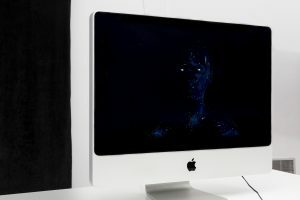 It may produce cracks among the viewers, too, when it comes to questions of taste, invention, relation to tradition, participation as well as the degree of meaningfulness and communicability. However, in any case, I am convinced that the potential discussions to emerge out of these cracks will be of meaning and value. “The fundamental truth of the American Identity lies in its multiplicity. Living in a time of intense political turmoil, the various shades within the American identity are more pronounced, with certain groups threatened more than others. Characteristics such as race, class, gender, and religion have been called to the forefront of national attention by government and resistance leaders alike. The origin of this exhibition was inspired by a Fulbright Grant to Prague, Czech Republic, undertaken by Francois Deschamps in the spring of 2018 at the Photography program of FAMU, the Film and Television School of the Academy of Performing Arts in Prague. This exhibition is part of a cultural exchange between FAMU and the State University of New York at New Paltz in New Paltz, NY, where Deschamps teaches. The exchange comprises two parts: an exhibit of works by students at FAMU, Terrestrial Aesthetics, at the State University of New York at New Paltz in October 2018 and the exhibit American Identities at GAMU. 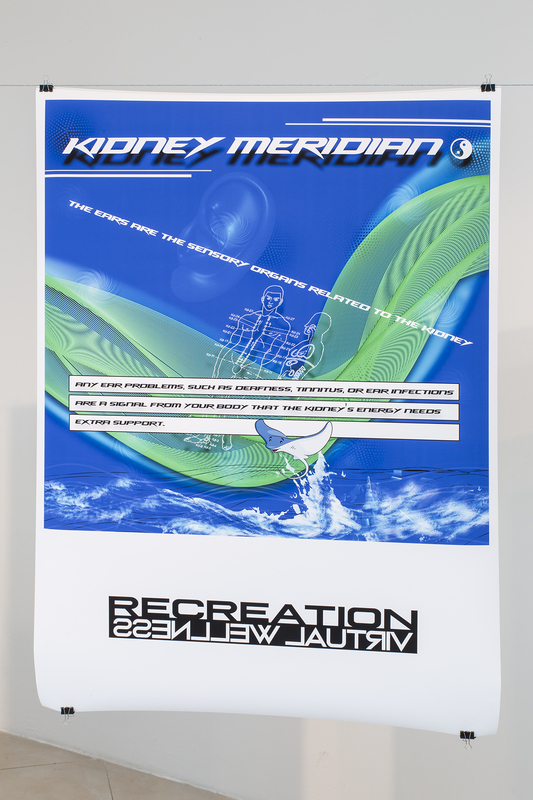 These exhibits have been made possible by the Fulbright Foundation with support from FAMU. 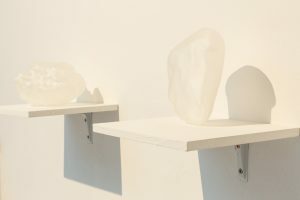 The exhibition catalog has been funded by the Art Department, the School of Fine and Performing Arts, and the Career Resource Center at the State University of New York at New Paltz. 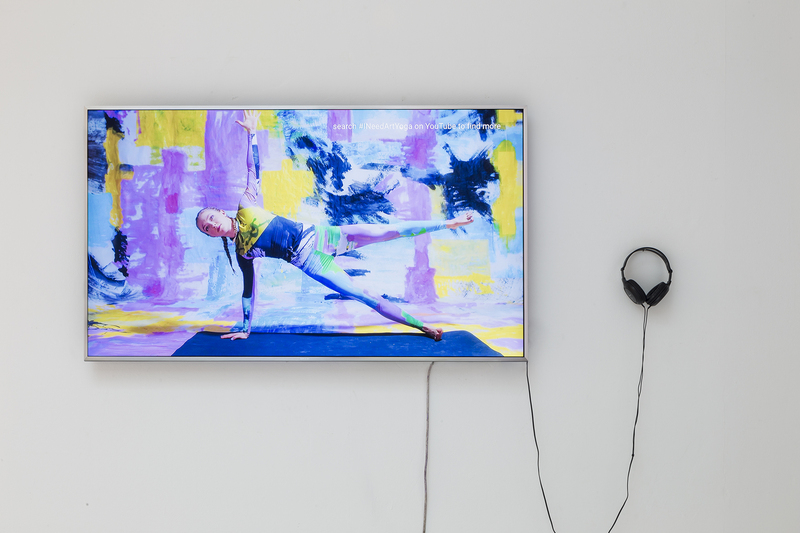 At least since Wagner’s idea of Gesamtkunstwerk, which dates back more than 150 years, generations of artists have been attracted by the innovative potential of bringing together different art forms. 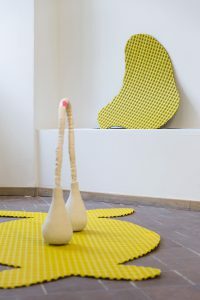 The same is true of the Scottish artist-run collective Captain Lightfoot (Anneli Holmstrom, Emma Pratt and Kadie Salmon), for whom working in an interdisciplinary, collaborative fashion has become their second nature. At the core of the Memory Palace project lie questions about the source, forms and limits of human creativity, and—first and foremost—a quest to experiment with the creative processes. 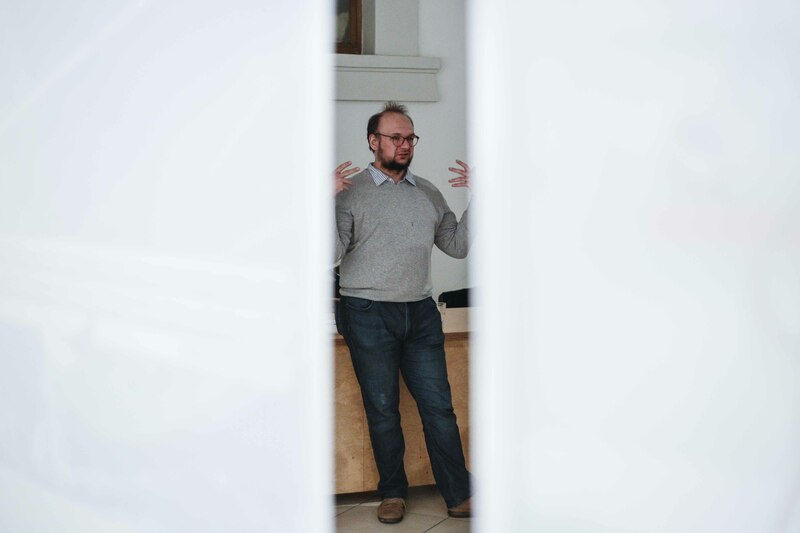 Four young artists (Christian Henninger, Nitish Jain, Bára Anna Stejskalová and Eva Urbanová) from the Academy of Performing Arts in Prague were invited to contribute to the project, which was launched by a four-day workshop in April 2018. 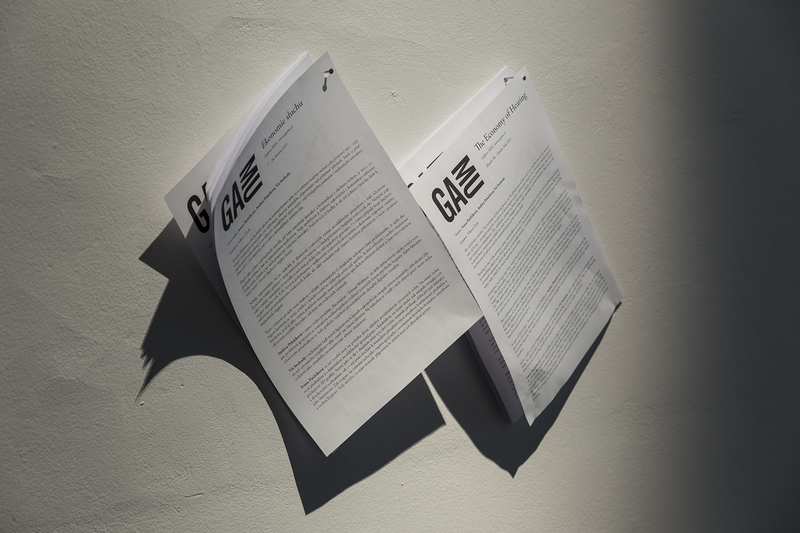 Intensive artistic research and exchange followed until the Memory Palace exhibition slowly became to take shape. A big part of the research was directed toward the inter-war avant-garde, drawing inspiration from Dada’s rupturing the link between art and artist’s controlled decision making, Surrealism’s automatic writing and focus on the unconscious, or Moholy-Nagy’s idea of the art object as the catalyst of an interactive event. The technique of „transcendental meditation“—as described and championed by David Lynch—has also served as an important source of ideas for the exhibition, together with sensory deprivation and meditative walks. 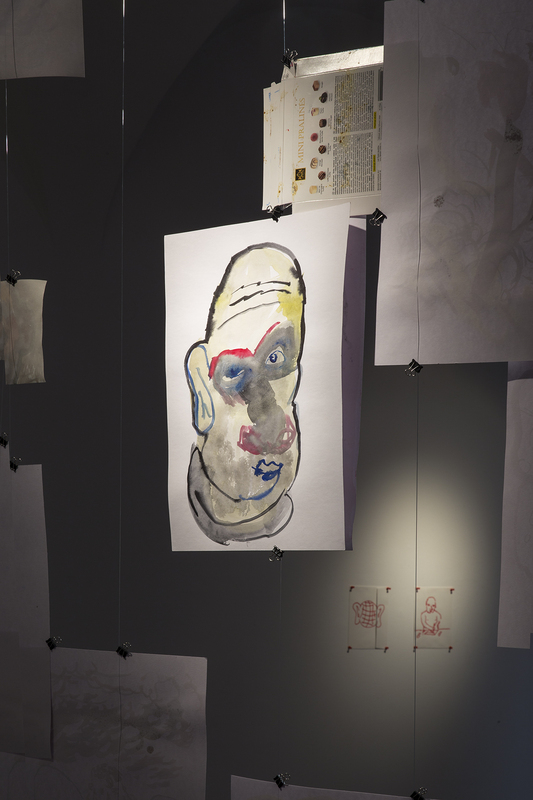 Memory Palace combines the above mentioned historical references, while using the vocabulary of contemporary art. The artworks on show are comprised of a series of fictive audios, photo montages and assemblages of random objects collected by the individual artists during their meditative walks. The architecture of the exhibition is structured as a “memory palace“—an imaginary location in your mind where you can store mnemonic images. 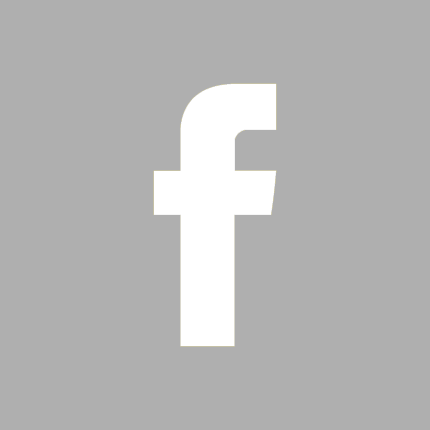 It follows a path created in order to store creative inspiration, memories and visual imagery. 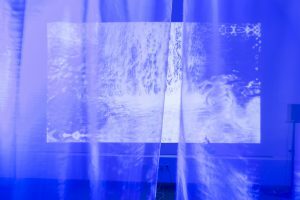 The future graduates of the Master and Bachelor programme will present their thesis projects created at the Studio of Classic Photography, Studio of Documentary Photography, Studio of Photography and New Media, Studio of Postconceptual Photography and Studio of Intermedia. The exhibition presents photography and technical image in many forms, which depend on the position of the photographic medium across a range of approaches and applications in the current visual context. 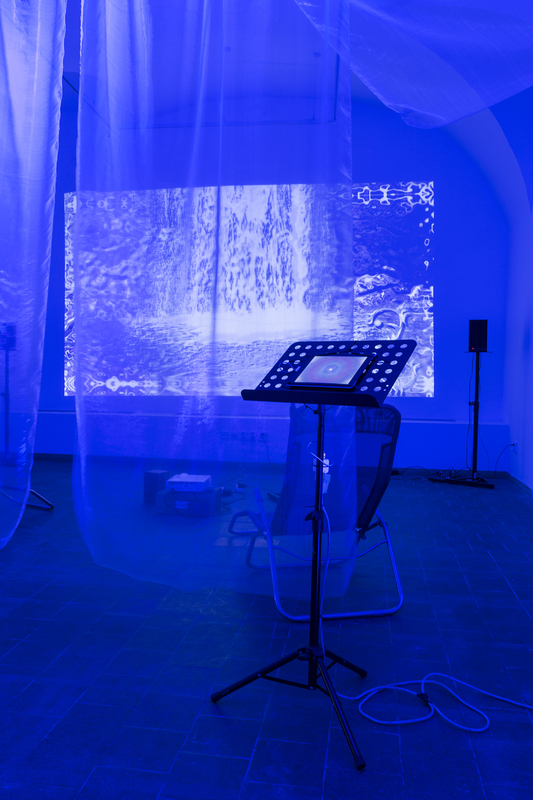 During the exhibition opening GAMU will host a sound performance by Tonic Train (Sarah Washington and Knut Aufermann). This exhibition sheds light (and shadows) on a hidden narrative of optical and kinetic apparatuses. 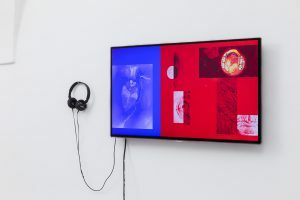 It brings together five works by two artists who have developed a particular, media-archaeological approach to the aesthetics and ideology of the analog technology of the past, seen from the digital era. 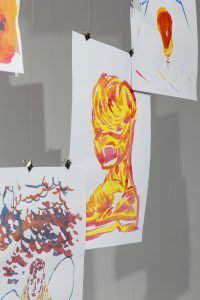 French artist Julien Maire (1969) de-constructs and re-invents analog apparatuses and gives them a pataphysical slant. Usually, he disassembles and inverts the functionality of perception machines, such as projectors or cameras. At GAMU, three of his works are on exhibit. 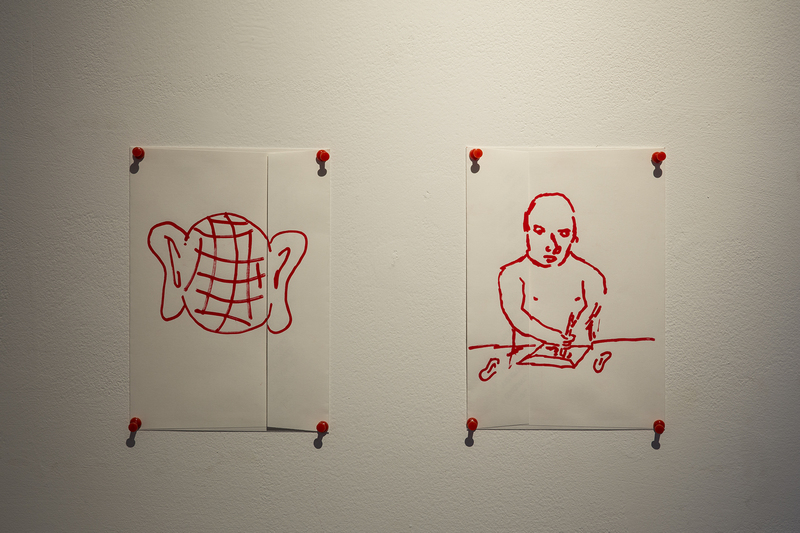 These include The Man at Work (2014), an installation based on the stop-motion animation of a sequence of stereolithographic three-dimensional figures running in a loop. A similarly maverick cinematographic machine is his Instantanées (1998). Instead of using flat images as a source, a slide projector adapted to project three-dimensional miniature sculptures is attached to a rotating mechanism that creates an animation of a falling drop of water. 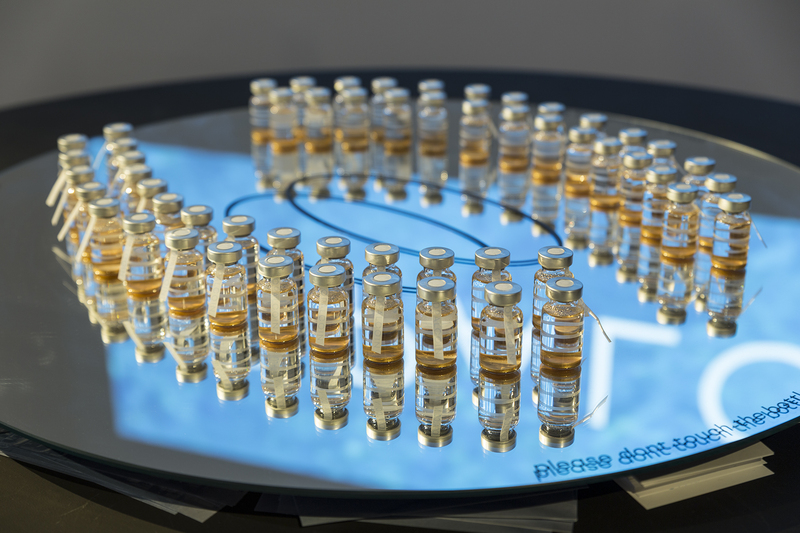 In addition, Step Direction (2015) is a variable set of kinetic structures based on the ancient principle of the pantograph, autonomously folding and unfolding in a space. 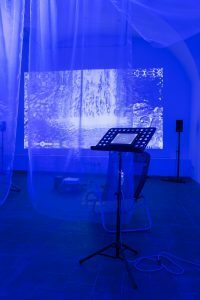 Robert Vlasák (1978) exhibits two assemblages: the sound sculpture Sirene (2017), an acoustic generator, based on an invention by August Seebeck (1805-1849); and a new kinetic sculpture entitled Vrtuloid (2018), constructed from a collection of car engine fan blades arranged on a shaft and suspended from the ceiling. The machines at GAMU are propelled by serious playfulness and designed with an idiosyncratic touch derived from careful observations of our world. Julien Maire is a French artist born in Metz in 1969. He graduated from the Academy of Fine Arts in Metz, and currently lives and works in Brussels. 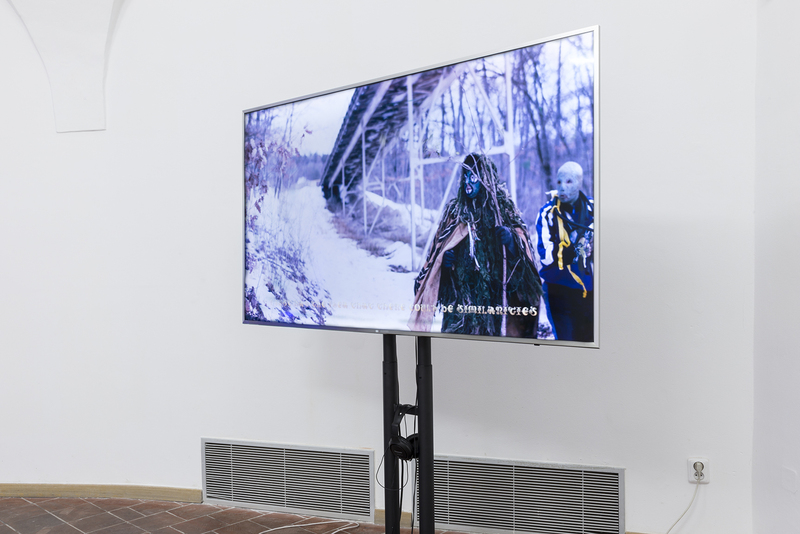 Since the mid-1990s, he has created works of performance art, media installation and cinema to produce live works that are hybrids of genres and media, exploring the physicalities of the moving image. Maire’s installations and performances, such as Exploding Camera, Low Res Cinema, and Demi-Pas have been featured widely and internationally at prestigious venues such as Ars Electronica, Digital Art Festival, European Media Art Festival, Film Festival Rotterdam, Sonar, Transmediale, ZKM, ICC (Japan), Empac (New-York). Maire was the winner of the NTAA.be (Update_2 biennial) in 2008 and was nominated for the World Technology Award in New York in 2009. 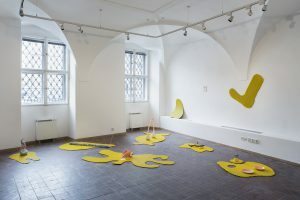 Robert Vlasák is a Czech visual artist and sculptor born in Kladno in 1978. He works as assistant professor at the Studio of Natural Materials at the Faculty of Art and Design at the J. E. Purkyně University in Ústí nad Labem. Vlasák’s work is an inquiry into the physical qualities of different materials and situations. 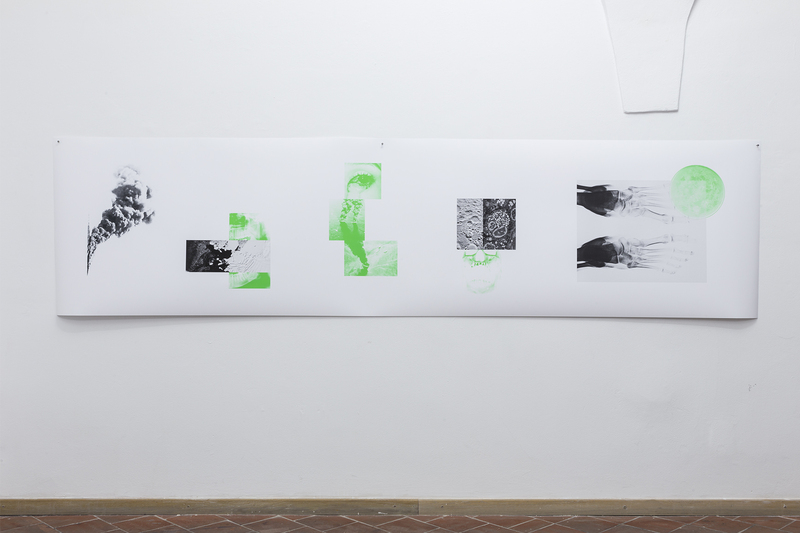 He is fascinated by the concept of equilibrium and the process of change, which he explores usually by means of visualisation or sonification. Vlasák is interested, too, in the mechanical, sonic and optical aspects of objects, sometimes implemented as electronic and sound-producing elements. 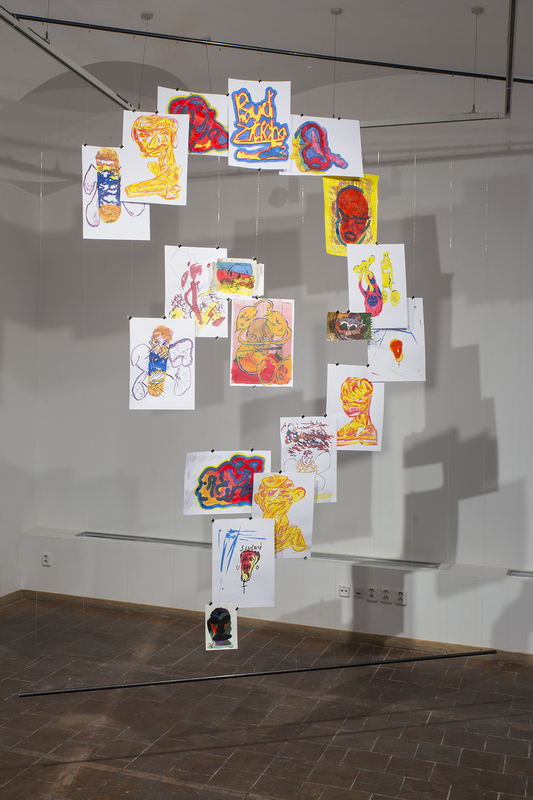 The exhibition is the result of collaboration between GAMU and Agosto Foundation, which has funded the residencies of Julien Maire, Sarah Washington and Knut Aufermann in Prague. 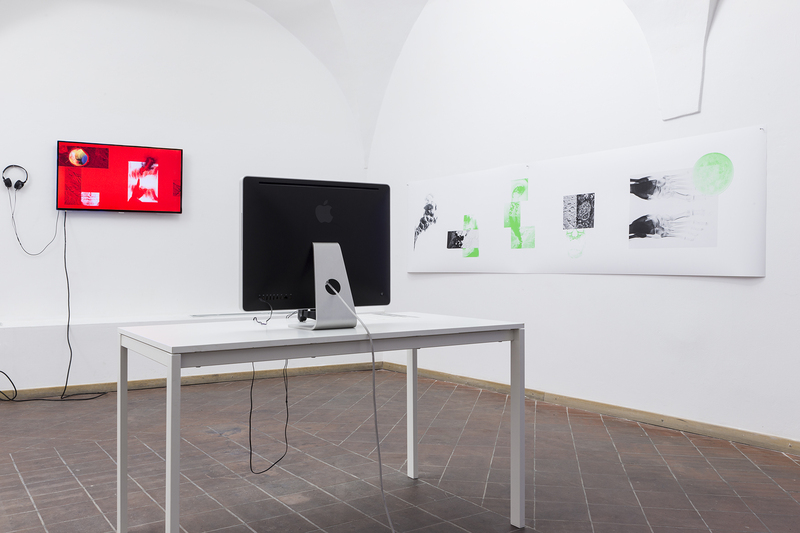 The residencies take place with the support of the Czech Ministry of Culture. 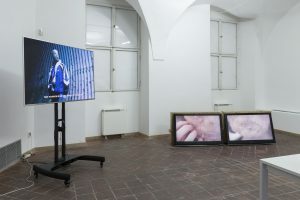 The exhibited semestral works by students of FAMU’s Center of Audiovisual Studies are spread out among the AMU Gallery (GAMU) and a few other spaces in the main AMU building at Malostranské náměstí, which will be accessible during the event’s opening night. The curated part of the exhibition in GAMU will present select students’ works whose common theme is a post-human perspective on the world. CAS FAMU Semestral Works: Tržiště 20, Wednesday, June 20th, 2018, 6-10 p.m. Accompanying program and closing party: GAMU / Avalon, Wednesday, July 4th at 5 p.m.
to make real the FAKE and to FAKE your ME. The AMU Gallery’s exhibition program is made possible by the financial support of the Prague City Hall and of the Ministry of Culture Czech Republic.